You guyssss! 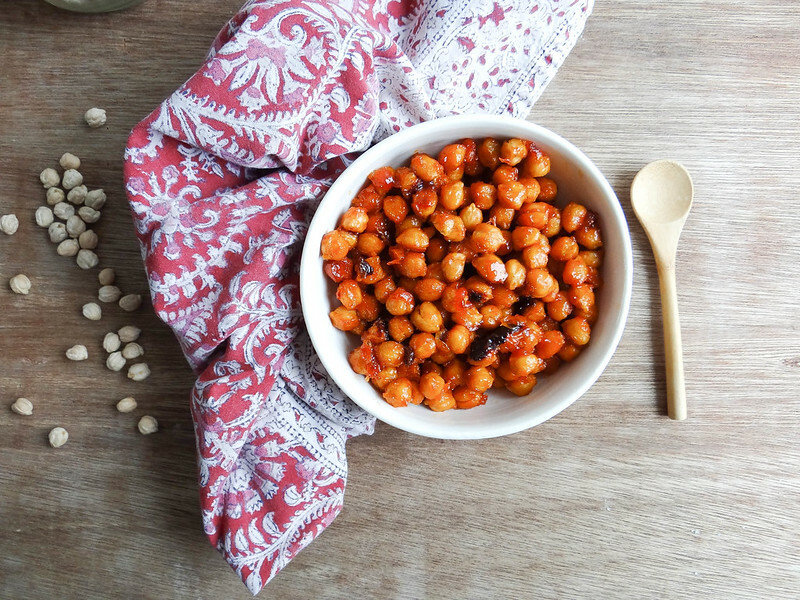 Oh wow, just WOW - these chickpeas are so freakin' amazing. 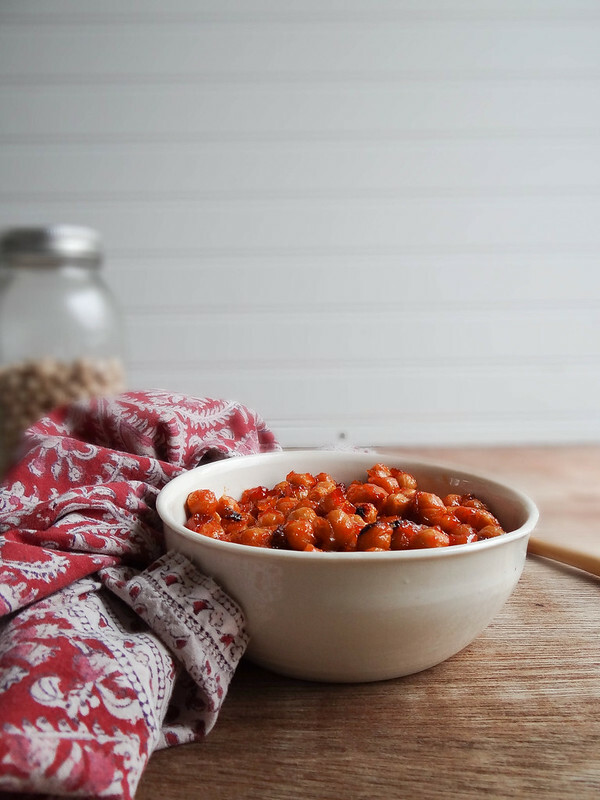 A little sweet, just the right amount of heat and so easy to make! This is good vegan eating on the cheap - super inexpensive and wicked versatile. Nosh on them in the morning folded into a tofu scramble, throw em' in a wrap with some lettuce, tomato + vegan ranch, top your salads with them or eat them straight outta the bowl for a post work out snack! I've been kinda obsessed with Frank's Hot Sauce, it is soooo yum! 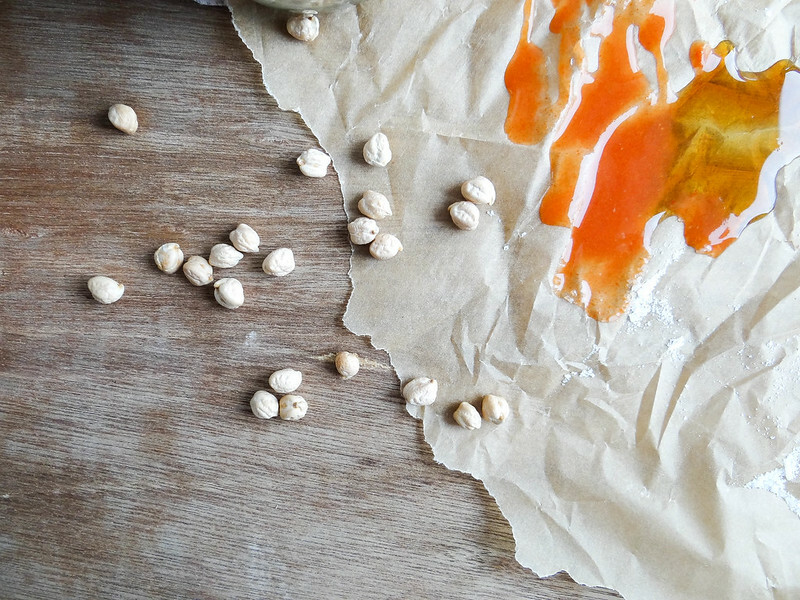 I love a batch of cauliflower buffalo wings but when I am just plain lazy or short on time this is my go to snack that hits my spicy craving that seems to come out of no where! When my girlfriend was pregnant with her second she would douse plain pasta in franks red hot sauce and go to town- let me tell you that girl is fierce! My eyes would burn just being 10 feet away from her! Canned chickpeas can totally be the hero if you don't have time or the inclination to make a batch of chickpeas from scratch- if you are well organized and prepared you probably already have a batch you made in your fridge or freezer...its the new year, I'm not quite that organized yet. 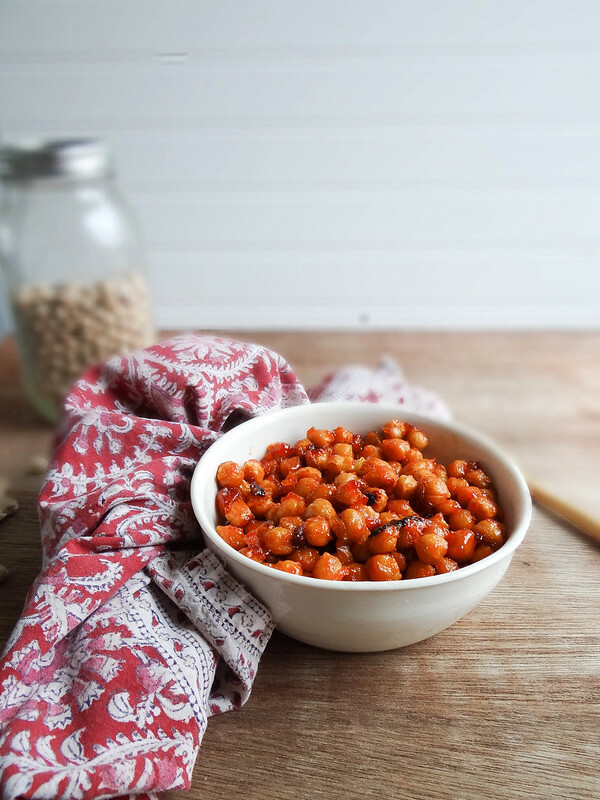 If you plan to branch out and try something new this year, promise me you will make a batch of these chickpeas- they are a total game changer, life changing even...for me at least! ....I love these so much I almost throat punched Justin when he tried to throw away my leftovers during his weekly fridge clean out, thank god I was home to save them! In a medium bowl combine all ingredients and stir until mixed well. 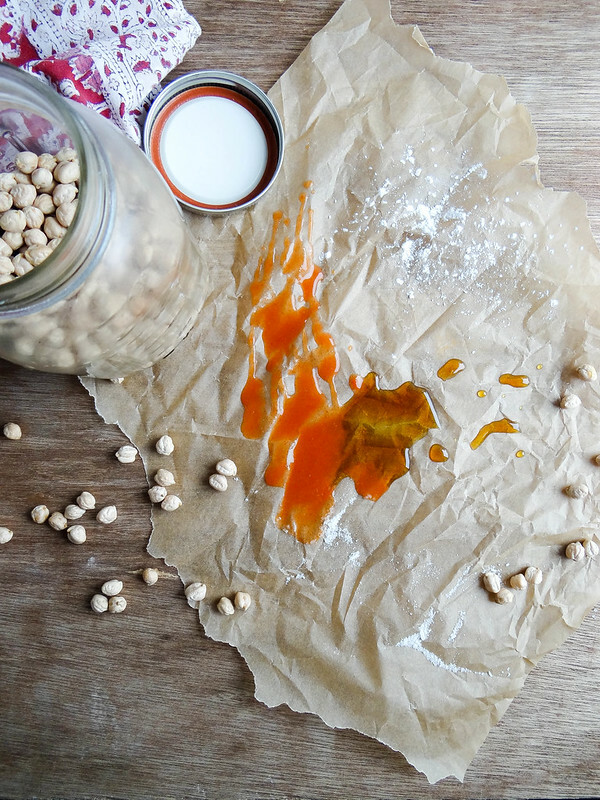 Spread mixture onto a rimmed baking sheet. 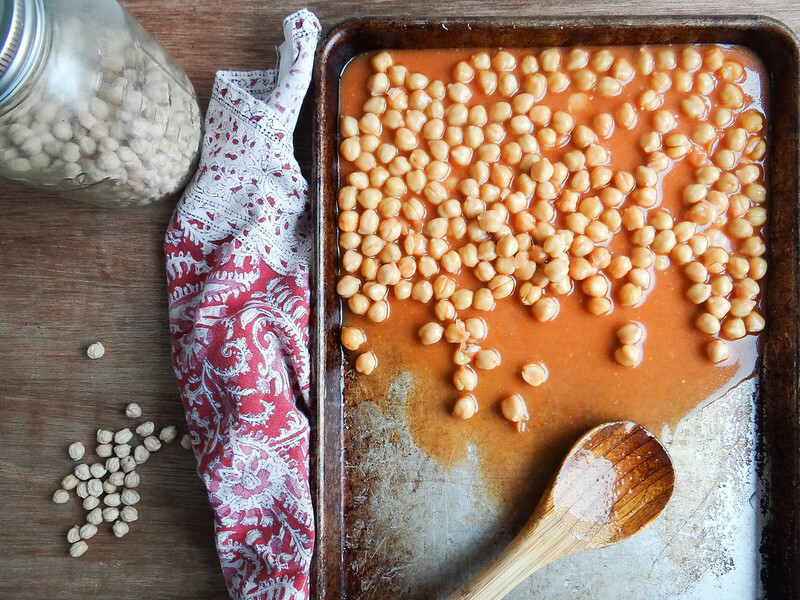 Bake for 30 minutes, stirring chickpeas 1/2 way through cooking. 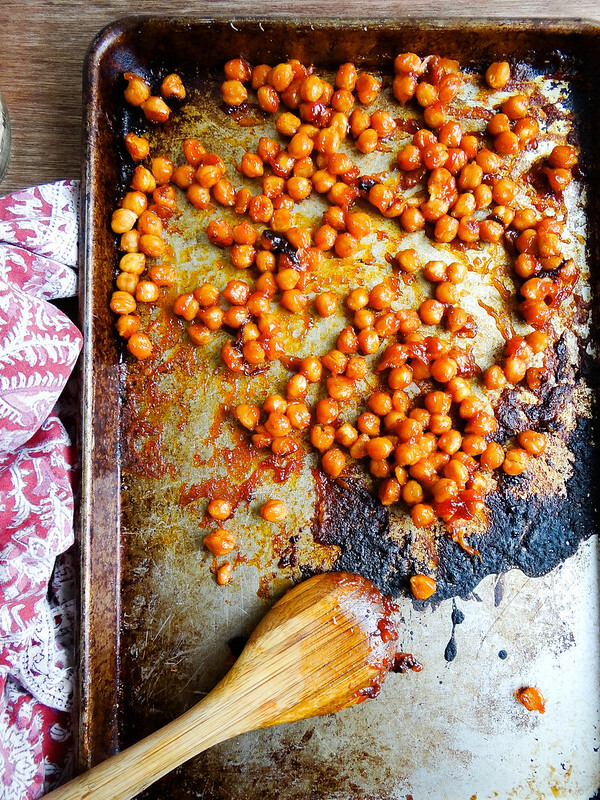 Remove from oven a stir up the with a spatula or wooden spoon to prevent chickpeas from fully sticking to the pan - allow to slightly cool. 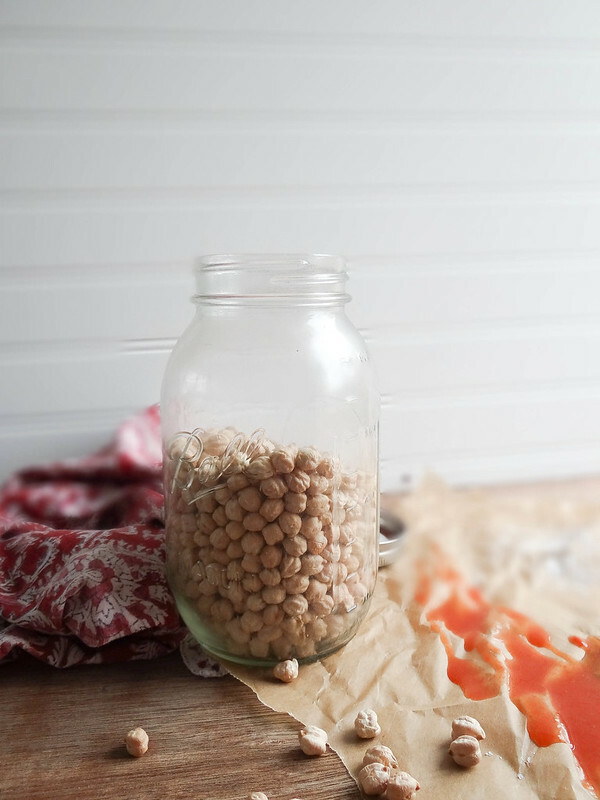 Eat spoonfuls at a time, transfer any leftovers to an airtight container and store in the fridge up to a week. 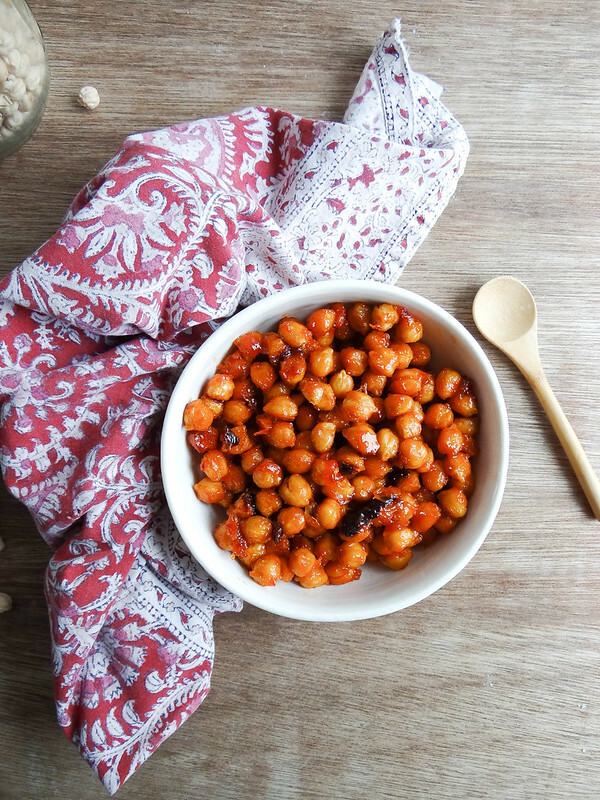 Ah goodness, I adore roasted chickpeas! Combine sweet and spicy and I am SOLD! It's really mouthwatering, will surely give this a try. No. 1 year resolution recipe found!